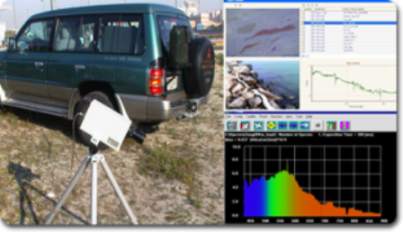 Remote sensing proved to be a powerful tool for a wide variety of applications including mapping of the earth’s resources, planning of the new urban areas, assessment of the state of the coastal environments and monitoring of marine and non-marine hazards. Among others, routine monitoring of marine pollution and other coastal hazards such as oil spills, harmful algal blooms (HABs), and cyclones is extremely important and critical for the ROPME Sea Area because of its vulnerability to these hazards and the prompt need for operational and timely response to their effects. Being synoptic, repetitive in coverage and efficiently observe large areas at suitable spatial and temporal resolutions, the satellite imagery can provide a critical information on coastal water quality and natural and human-induced hazards that may threat the livelihood of coastal communities. 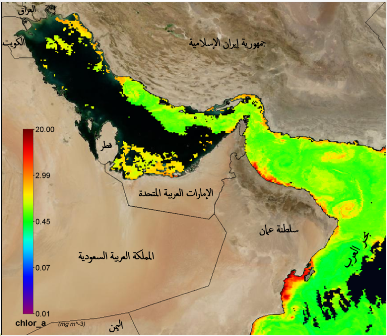 To comply with this objective, the ROPME has initiated a regional program and special remote sensing unit for routine monitoring of marine and coastal environments in its regional marine area (the Gulf, Sea of Oman and Arabian Sea), which is conventionally, known as ROPME Sea Area. This program relies essentially on processing and utilization of real-time and near-real time satellite data from NASA’s MODIS sensor that is being received through the MODIS Direct Broadcast Receiving Station. This station has been installed at ROPME Secretariat in Al-Jabriya, Kuwait in early 2003 and still operative since that data. The station is being operated and managed by the experts of the Remote Sensing Unit (RSU) and routinely receives satellite data only from MODIS sensor onboard Terra and Aqua satellites. The remote sensing program also utilizes additional satellite data from other available sensors and sources, as needed e.g VIIRS and Sentinel-1A. Satellite-derived parameters that are routinely monitored and assessed on daily bases include sea surface temperature, surface chlorophyll concentration, and turbidity of water (diffuse attenuation coefficient). This data is validated from time to time through the help of the national focal points through in-situ measurements or sometime though field check using available remote sensing instruments like hand held spectrometer. In addition to archiving the near real time data received from MODIS, the remote sensing unit also holds an extensive archive of satellite data from other sensors e.g. AVHRR, Landsat, Radarsat and Aster. 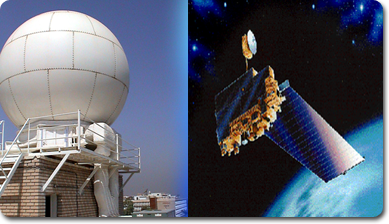 The monitoring program has been recently supported by installation of a small GEONETCast Receiving Station which receives lower resolution yet reliable earth observation data from MODIS, VIIRS, and Jason-3, as well as, from meteorological satellites such as MetOp-B, MSG and NOAA-19. The hierarchy of the remote sensing monitoring program starts first with reception of the real-time MODIS raw data through the Direct Broadcast Ground Station in Kuwait and other available satellite data, which then are processed in timely manner using standard methods and algorithms to higher-level data and products including quick look images, thematic maps, etc. In case of any marine incident or hazard, the remote sensing experts at ROPME issue an alert to ROPME’s Marine Emergency Mutual Aid Centre (MEMAC) and the concerned national focal point of the Member State to react and response. The RSU also provides a guidance and advice to the national focal points and other concerned authorities in case they need further information on status of the marine environment in their territorial waters or regional seas. Exploitation of received MODIS data and integration of remote sensing techniques with GIS and other tools resulted in a wide variety of geo-referenced maps and reports about distribution of sea surface temperature, marine phytoplankton and benthic habitats in the ROPME Sea Area. 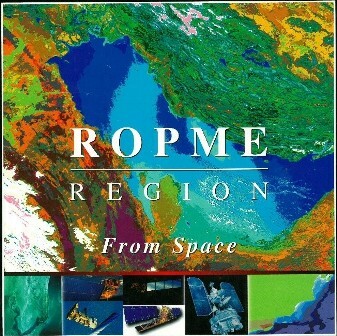 Archiving of received satellite images and documentation of major marine incidents and features in the regions also allowed publication (in collaboration with UNEP) of the “ROPME Area from Space” in year 2000, which is considered the first regional atlas of its kind in the region.